The most successful organisations are those with the most diverse and engaged workforces. Studies show an 80% improvement in business performance among those with high diversity levels. Inclusive Leadership will help you drive culture change using organisational development principles. It takes you through the key components of leading change throughout the employee lifecycle, your supply chain, and through product development. Crucially, it will help you make a genuine impact on your business, through your people, both now and in the future. 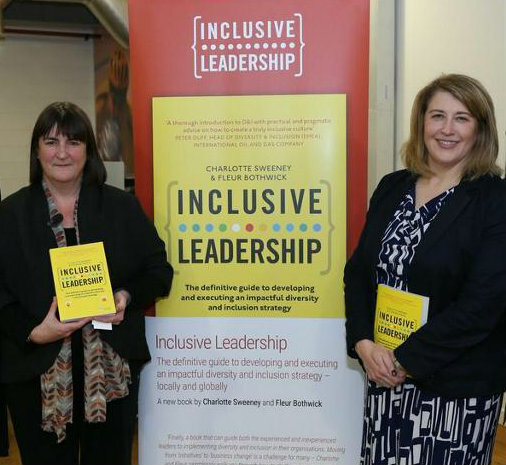 If you want the inside track on this important topic, you can order your copy of Inclusive Leadership via Amazon. PWN Global was honnoured to have, what we like to term 'D&I Royalty', join us in July 2017 to deliver a webinar as part of our personal leadership development series, on the subject of 'How Good Inclusive Leadership Can Support The Future Of Work'. The recording of the session is available to all PWN Members, along with all the other recordings from this series. If you're not a member yet, and would like to get access to these fantastic learning sessions, join us today!